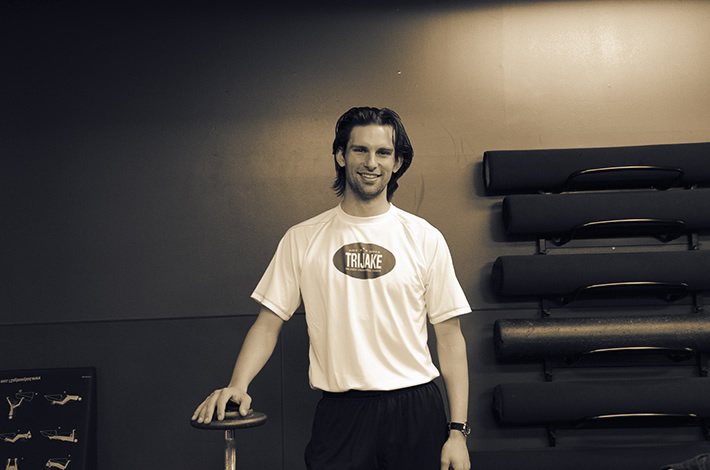 TriJake Fitness has an excellent staff of experienced personal trainers that are second to none in the area. Each trainer is certified and is a specialist in their respective category of training. From body transformation and ultra marathoning to private yoga instruction and weight loss nutrition. The TriJake Tribe will help you become the person you strive to become. Book today. The TriJake 30 Day Challenge is 30 days of activity, guaranteed to change your body in 4 weeks. Start each day with a 10 minute activity, master the TriJake Steel Belt, and blast through daily 30 minute workouts you can do anywhere. Download the 30 day challenge, video instruction, and training log right now to get started. Email jake@trijake.com for further instruction. Please right click on the link and click to save as to download the video. TriJake Tribe Member Corey Comeau is a weight-loss specialist with a background in culinary arts and nutrition. He will build a plan with you that includes proper diet habits and exercise routines to reach your target weight. Schedule a consultation with Corey today. If not now, then when?